Olivia Moore Rich, 103, of Wentworth, NC went to be with the Lord Sunday December 2, 2018 at the Penn Nursing Center. Graveside services will be conducted 11:00 am Tuesday December 4, 2018 in the Wentworth United Methodist Church Cemetery. The family will see friends following the service in the church fellowship hall. A native of Rockingham County, she was a daughter of the late Thomas Anderson and Mary Byrd Womble Moore and had lived in Rockingham County her entire life. She was a home maker and a member of Wentworth United Methodist Church. 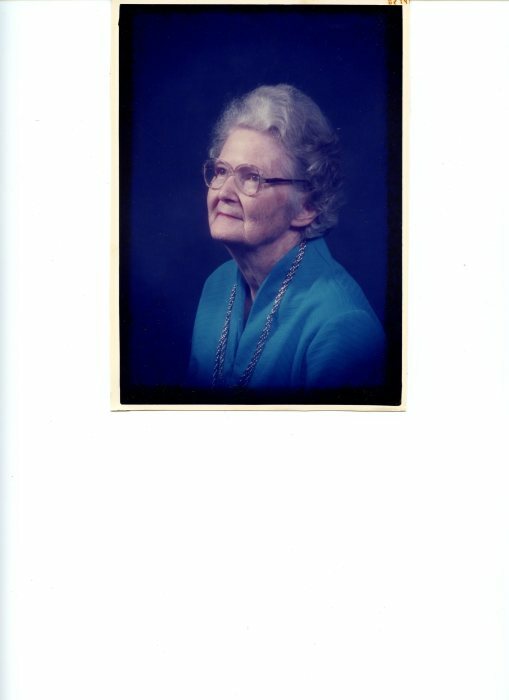 Mrs. Rich taught Sunday School for 70 years at Wentworth and Bethlehem United Methodist Churches. She was also a member of the Rockingham County Naturalist Club, and an avid bird watcher. She was very cordial and was well known for her cookies. Mrs. Rich had a green thumb and made needlepoint and cross stitch crafts. She was preceded in death by her husband: Floyd Nathan Rich, daughter; Annie Olivia Rich, sisters: Ivy Burton, Lucy Ross, Jewel Moore and Mary Byrd Gilbert, and brothers: William “Ben” Moore and Thomas Moore. Survivors include her son: Nathan Floyd Rich and wife Monette of Reidsville, grandchildren: Lori Sands, Jason Yount, Ronnie Ferrell, Vallere Shelton, Suzanne Lang, and Kenzie Hanks, twelve great grandchildren, two great great grandchildren, sister-in-law: Myra Rich of Asheboro, numerous nieces and nephews and her precious cat Pumpkin. The family would like to thank the staff of Penn Nursing Center for their care and concern during her stay there. Memorials may be sent to: Wentworth United Methodist Church P.O. 133 Wentworth, NC 27375.